Strike it Famous has hit the jackpot and now lives in Hamilton with Jim. Striker was the name his kennel manager called him and Jim has decided to keep it. 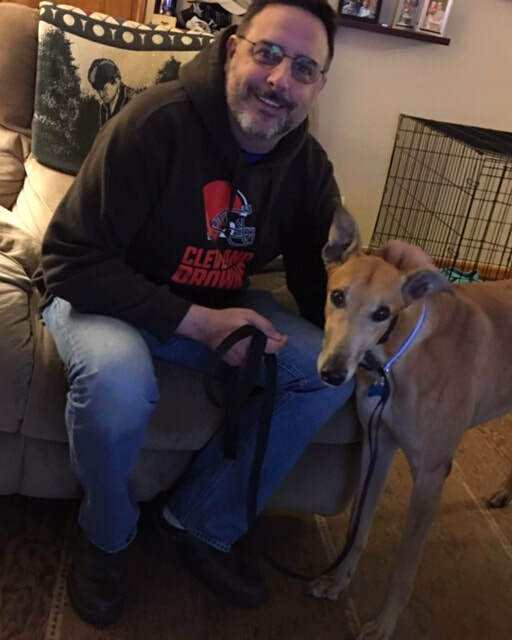 This boy was given to us because the kennel manager LOVED this dog and wanted him to be adopted thru GAGC knowing we would find him a GREYT home.